HOW MUCH: $25 pre-sale online, $30 at the door, $10 Military discount off the Pre-sale ticket price (Active, Retired, Veteran, Reserves) at the door only with military ID. Admission gets you a 5.5 oz commemorative taster glass and 10 tasting tokens. Additional tokens are $1.50. 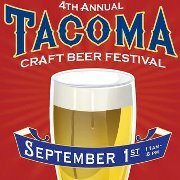 There will be games, live music and over 50 brewers! This event is 21 and over only. I will see you there!